Science at home: Little Shop of Physics is coming! The Fort Collins Museum & Discovery Science Center will be hosting Colorado State University’s Little Shop of Physics on Tuesday, December 22, and Wednesday, December 23. The Little Shop of Physics is a group of science educators and science students that travels the region with a van full of hands-on experiments with the goal of teaching people that science is something anyone can do. They don’t show people science, they help them do science! So forget the cold weather and get fired up about science with the Little Shop of Physics for four fun shows during the winter holidays. On Tuesday, December 22, at 11 am and 1 pm, the Little Shop of Physics will present “The Science of Sound.” On Wednesday, December 23, at 11 am and 1 pm, The Little Shop of Physics will present a new show, “Pressure.” All shows are open to the public and free with paid admission to the Museum. We’ve got a LOT of behind-the-scenes work going on right now, as we prepare for Discovery Science Center’s move into the Fort Collins Museum building. DSC’s last day in their current location is this Saturday, May 30th (so get over there, like, NOW if you want to have one last look!). Three weeks ago we dismantled the “Poor of Me, Good of Dog” exhibit in the gallery and Exhibit Designer Cory Gundlach began transforming that space into what will become the home of many of DSC’s most-loved hands-on interactive science exhibits. It’s a lot of work, to say the least, and very exciting to see everything taking shape. The walls are up and prepped, and this week we’re all pitching in to prime and paint. Yes, Directors, Curators, and everything, turned loose with rollers, ladders, and drop cloths. It’s mayhem, but so far the paint is mostly going on the walls, and not too much on each other …. Plan to come check everything out on June 30th, when we unveil science and history under one roof! There’s a new exhibit in the lobby of the Fort Collins Museum that ushers in a new era for both the Fort Collins Museum and Discovery Science Center. The “Bright Ideas” exhibit is the first joint exhibit between the Fort Collins Museum and Discovery Science Center as we move forward with our partnership. As you probably know by now, Discovery Science Center will be closing its doors on May 30 and moving into the Fort Collins Museum building, bringing with it the great hands-on science experience Discovery Science Center has developed a reputation for over the past twenty-five years. 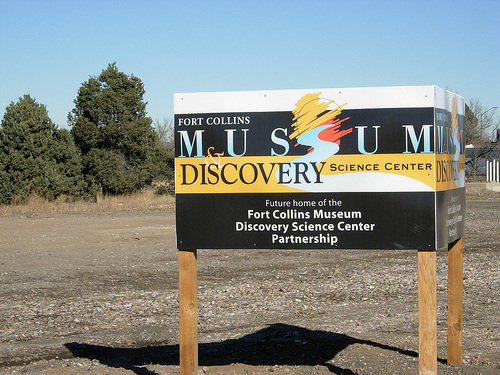 On June 30 the new Fort Collins Museum & Discovery Science Center will open and serve as a transition facility until our new home is completed (sometime in late 2011). Blending the cultural and scientific, the hands-on interactions with the historical artifacts, the “Bright Ideas” exhibit exemplifies what the Fort Collins Museum & Discovery Science Center means when we say “we’re better together.” In this exhibit, for example, you can learn about Thomas Edison and his inventions; see different kinds of electric light bulbs, some of which you can turn on with the push of a button; and see photos and artifacts that illustrate how electricity has played a part in the local history of Fort Collins. Come check it out and let us know what you think. 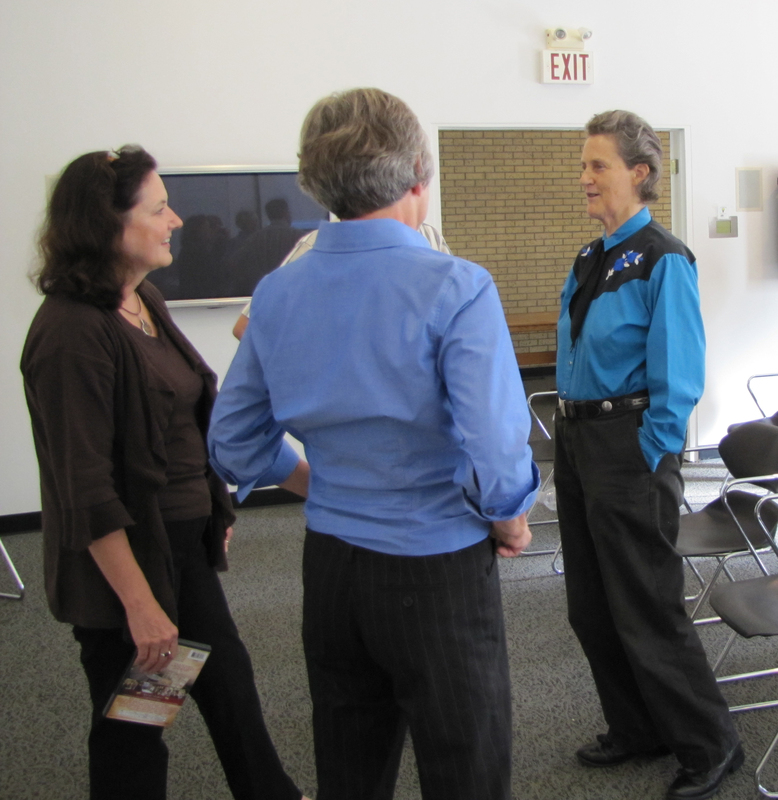 As the Fort Collins Museum & Discovery Science Center merger continues, look for more examples of the blurring of lines between science and culture, and start thinking about your relationship with the world in new ways.